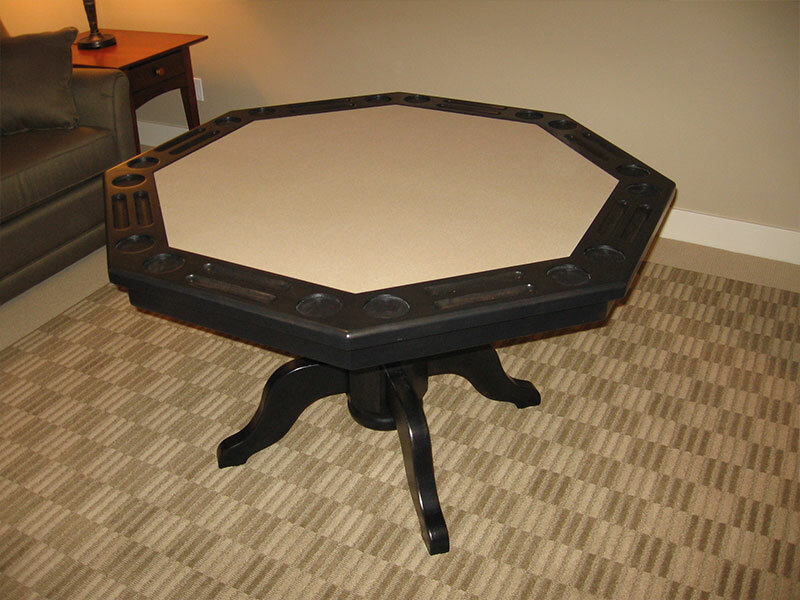 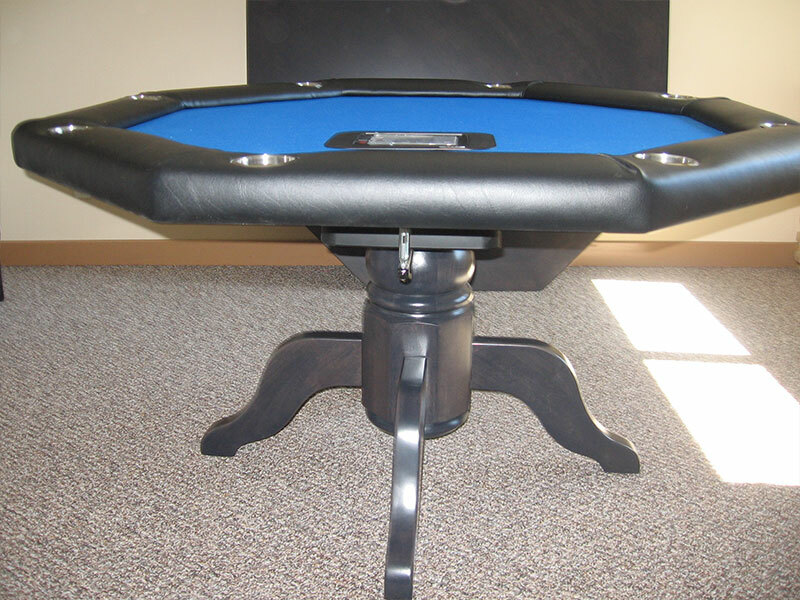 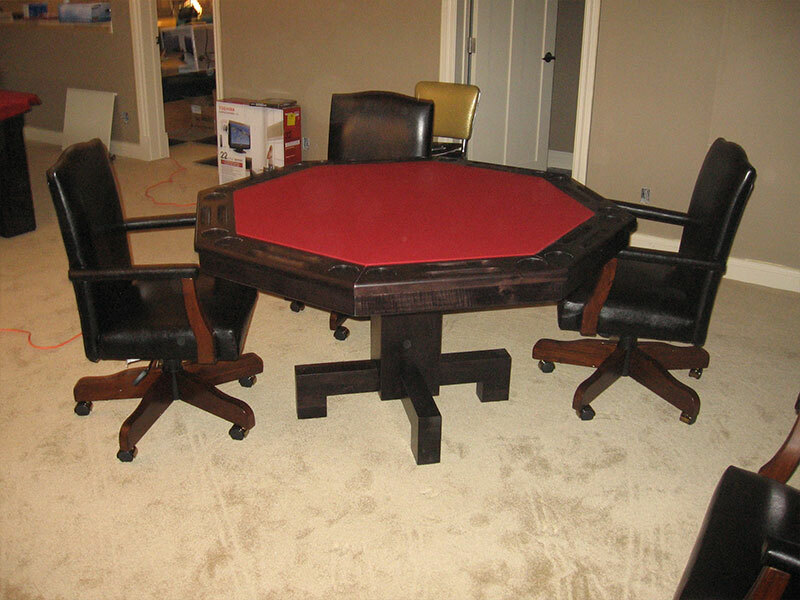 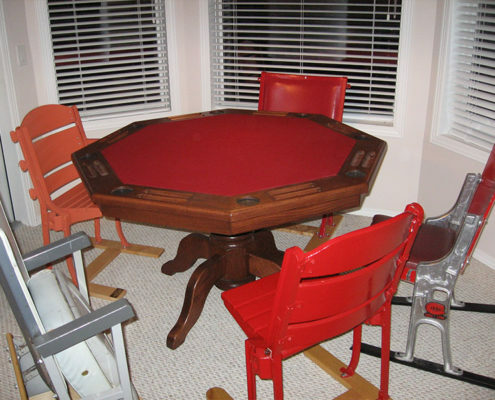 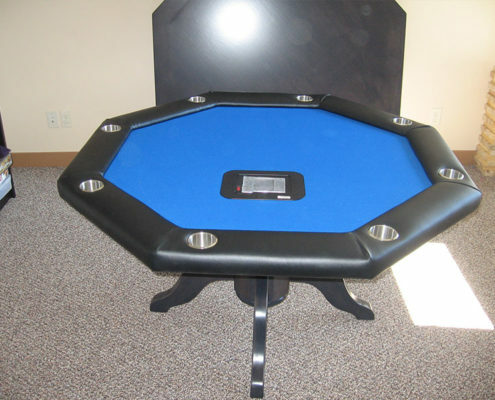 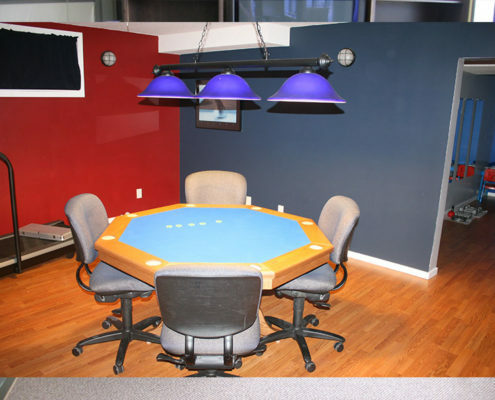 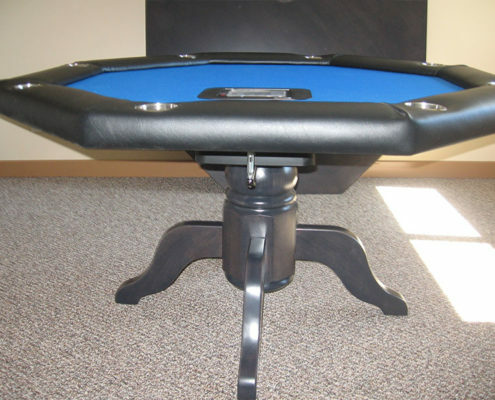 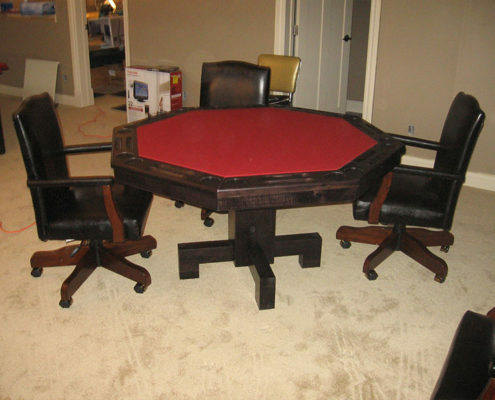 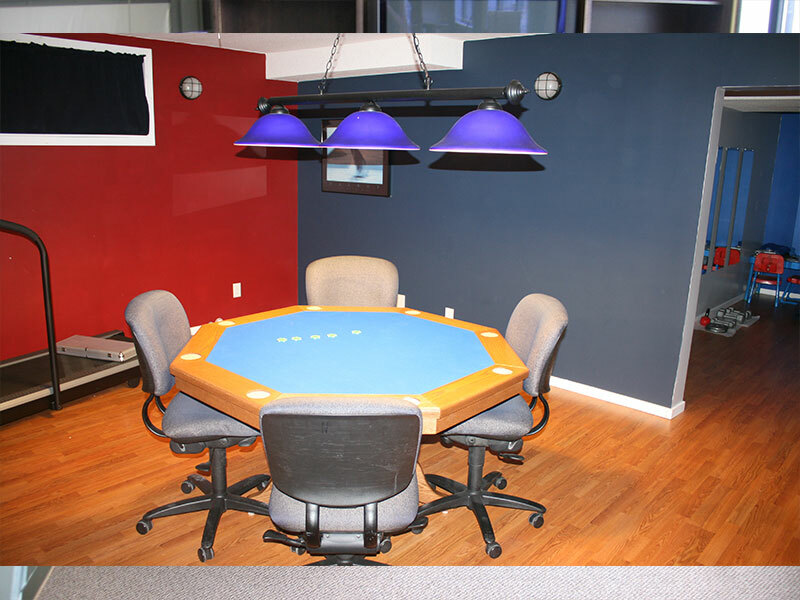 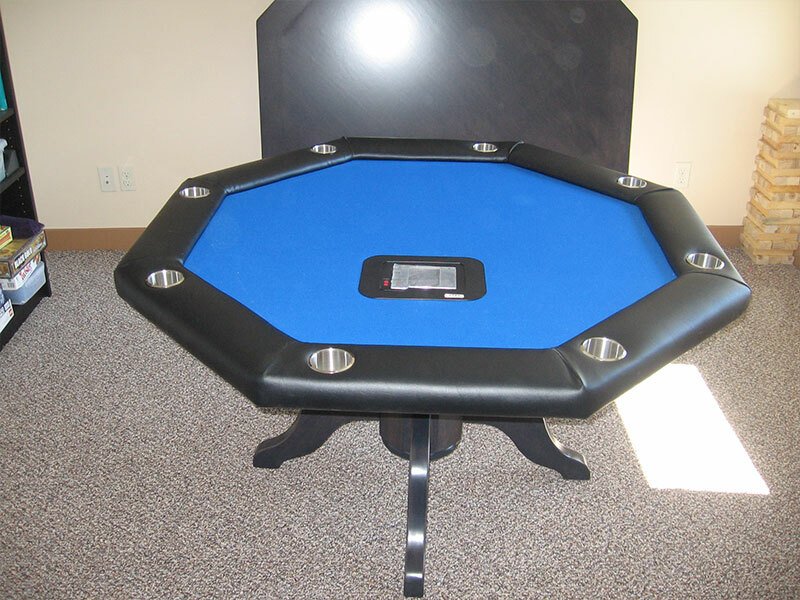 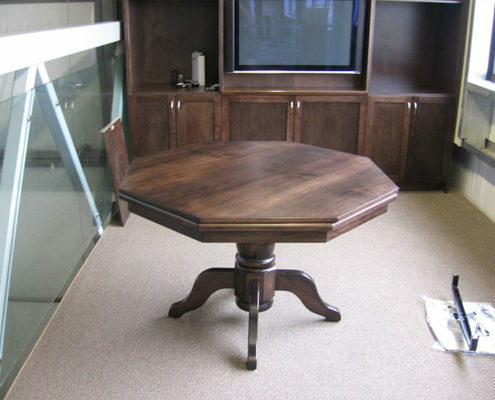 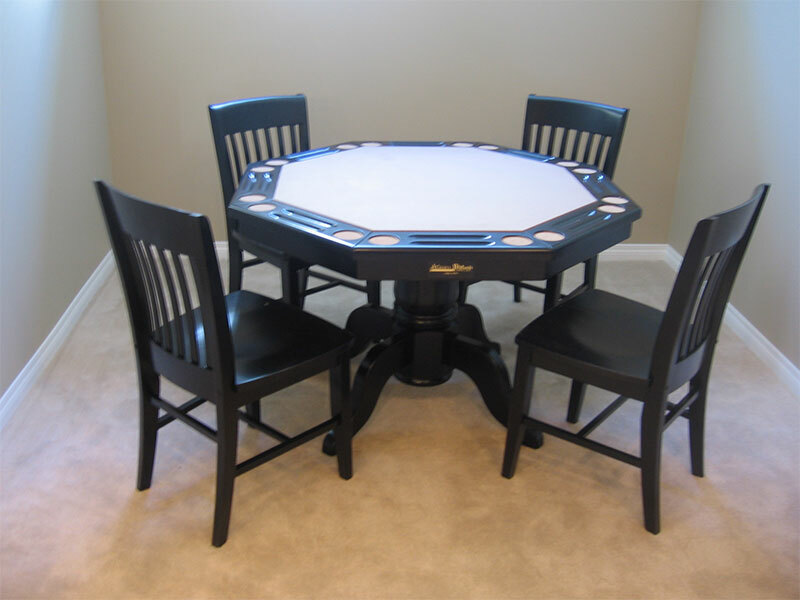 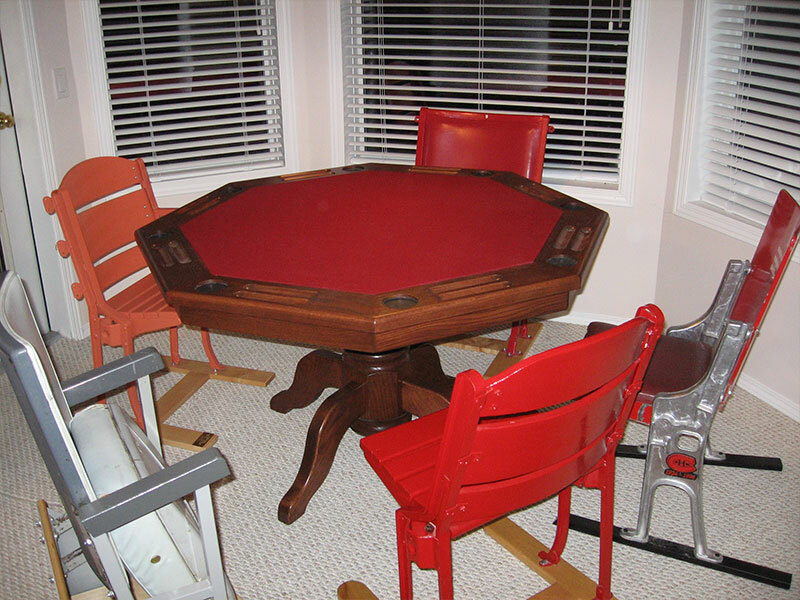 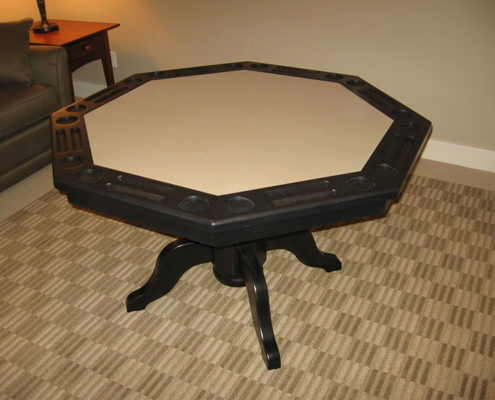 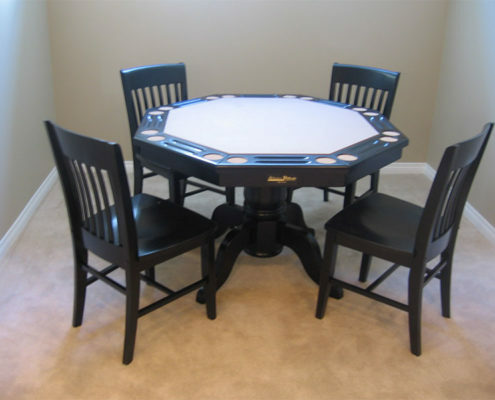 Poker Tables are made to order just like our Pool Tables. 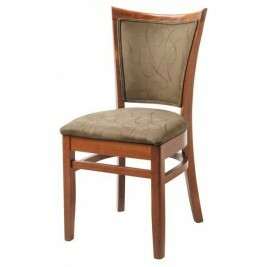 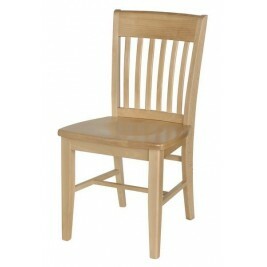 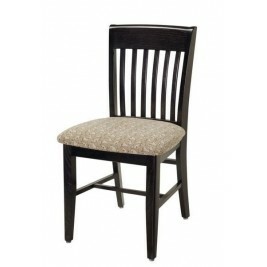 They are solid wood with bolted construction. 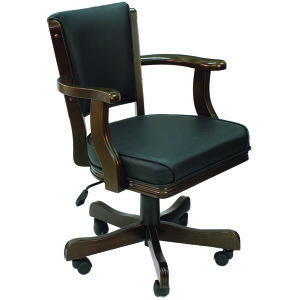 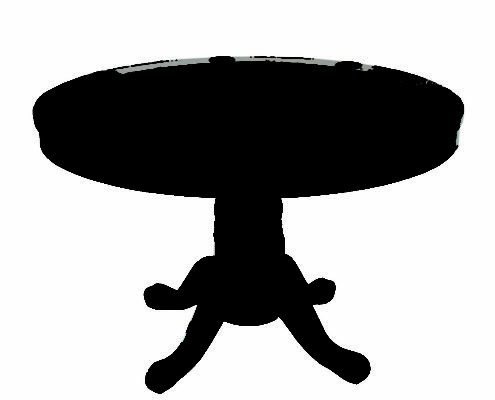 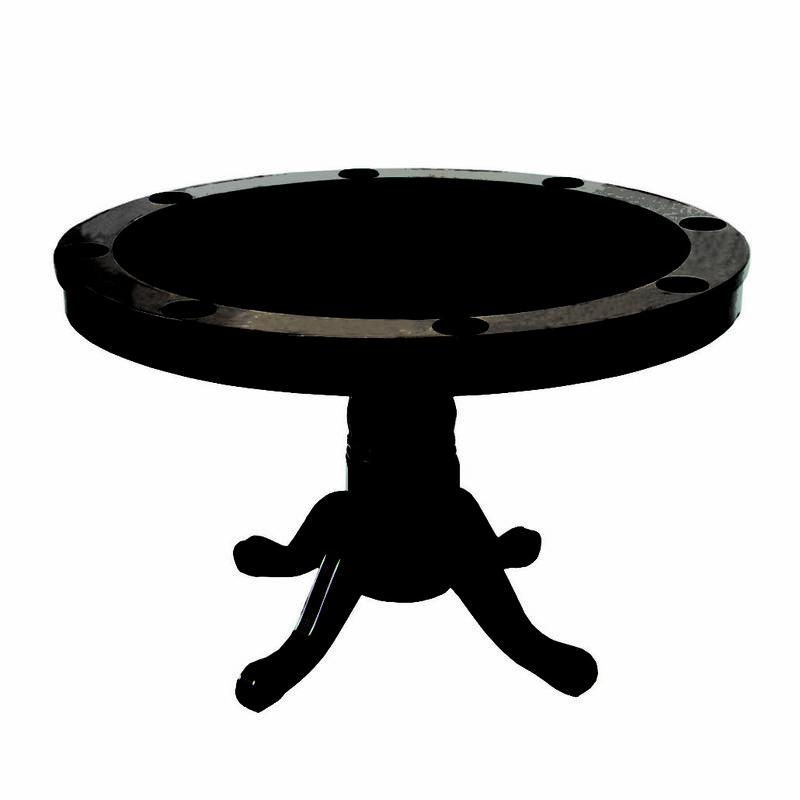 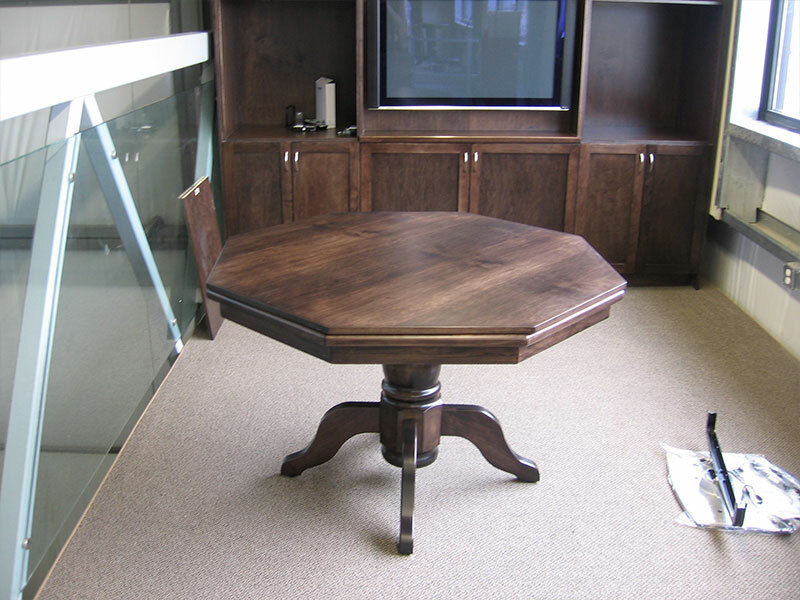 Design features include custom staining, 6 sided or 8 sided, 8″ turned pedestal, leg levellers, choice of cloth colours for surface, 48″ – 52″ diameter top and hard top also available.